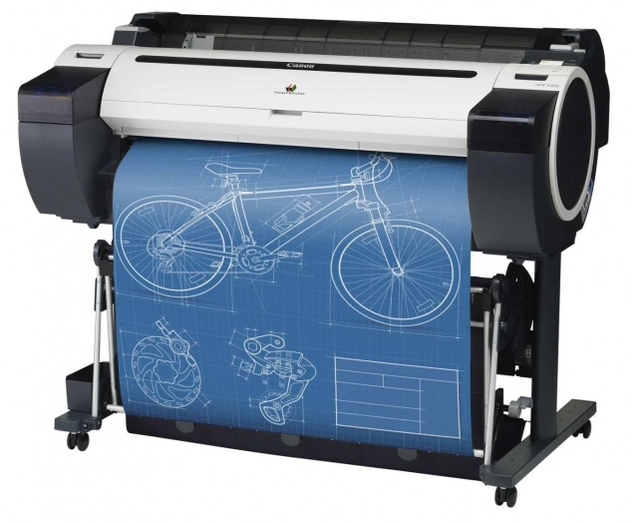 The Canon iPF780 device is capable of producing an Arch D (24” x 36”) print in up to 21 seconds using Economy mode, and an Arch E (33.1” x 46.8”) print in up to 41 seconds! The printer has the capability of accommodating 300ml ink tanks, geared towards lowering the cost per print. The included Sub-ink tank system allows for users to use all of the ink in the tank before replacing, while also replacing the empty ink tanks on-the-fly without having to stop a job mid-print and sacrifice print quality. From a software perspective, the Canon iPF780 printer comes loaded with user-friendly software solutions that are ready to be used right out of the box. Direct Print & Share, Canon’s cloud-based portal solution1, is available as a download and allows for files to be uploaded, downloaded, shared and printed from almost anywhere in the world! Also downloadable is a mobile printing app, imagePROGRAF Print Utility2, allows for PDFs to be printed through use of an Apple© iPad©. The Accounting Manager software allows users to track job costs, while the Print Plug-in for Microsoft Office enables for documents created with Word, Excel or Powerpoint to be printed in large format. And to improve versatility, the Canon iPF780 printer has a Media Configuration Tool which allows customers to optimally utilize their Canon-branded media in creating their desired output. Don't buy Canon IPF780 without contacting Napco. Call us today at 1-866-752-6766.